British Prime Minister, Theresa May, faces strong opposition as she tries to persuade lawmakers to back her plans for Britain to withdraw from the European Union, local media reported on Tuesday. 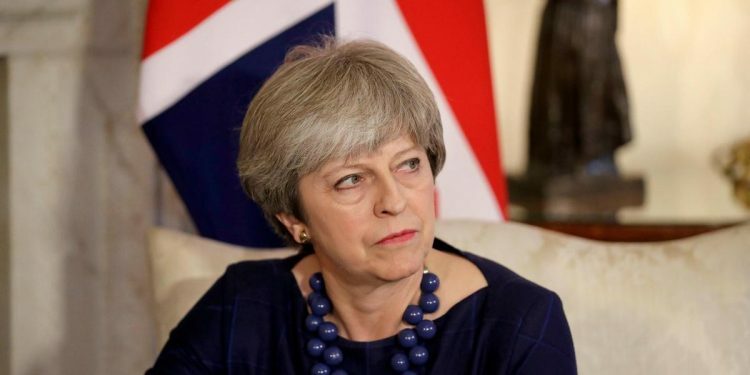 following a crushing defeat on the deal she has negotiated for Britain to leave the EU on March 29.
guarantee an open Irish border after Brexit, while another proposes extending the Brexit negotiating process beyond March. delivering the biggest-ever defeat to a British government. Lawmakers are expected to press May during debate to indicate when a second vote might be held on the deal. which has propped up Mayâ€™s minority government since June 2017, voted against her deal recently. They mainly oppose the backstop, which could place Northern Ireland under slightly different, indefinite arrangements from the rest of the UK. After her defeat on Jan. 15, May said she would seek â€œconsensusâ€ on the way forward in talks with opposition leaders, business groups and trade unions. While other opposition lawmakers who met her said there was little sign of compromise.